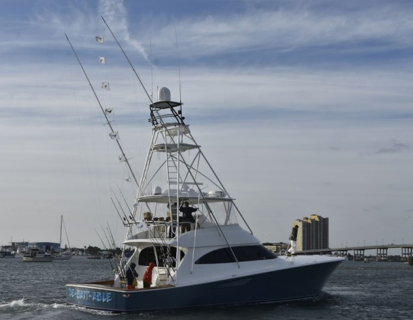 The 56th Annual Buccaneer Cup Sailfish Tournament was held January 23 to 26, 2019 in the Palm Beaches. This year an additional fishing day was added to the format giving teams the choice to fish any two. With two days of near ideal conditions, and a much-anticipated bite pushing into the area from the north, teams were rewarded with steady fishing. 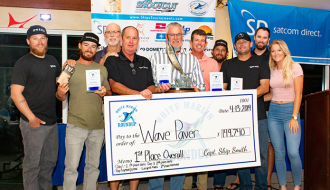 After the entire field of top competition teams taking a lay day on Thursday, all 39 boats hustled to release 180 sailfish on Friday and Saturday, The prize, a purse in excess of $352,000, the prestigious and beautiful Buccaneer Cup trophies for the top three boats and anglers, and bragging rights for placing in one of the oldest and most enduring billfish tournaments in the world. 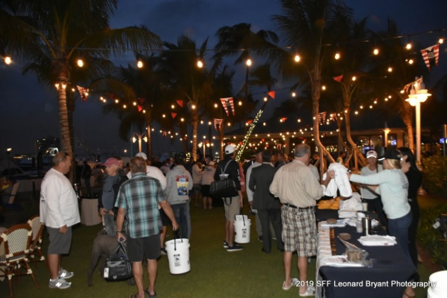 Add to that the knowledge that the tournament proceeds benefits the Recreational Fishing Alliance and The Billfish Foundation, there was a lot at stake. 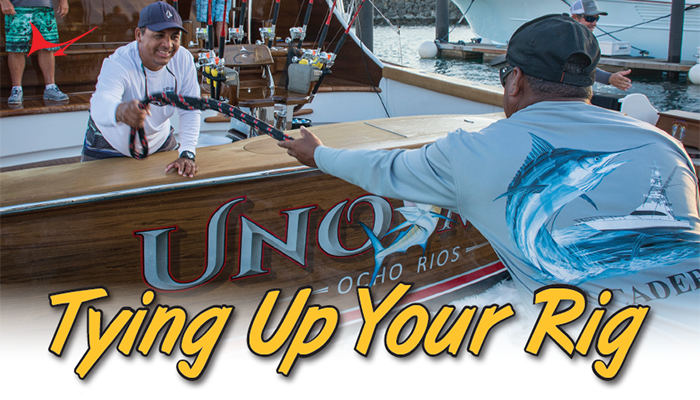 Courtney Bowden, currently in her sixth year at the reigns of the Buc Cup, did a spectacular job running one of the best organized and classiest billfish tournaments on the coast. 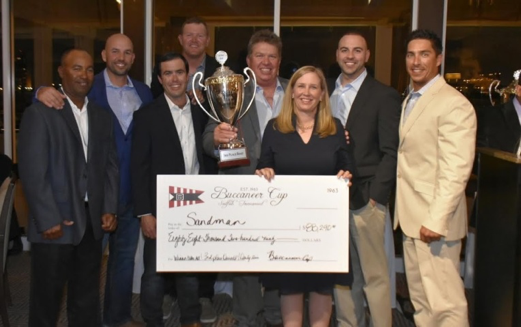 Along with her team of volunteers, including staff from TBF and RFA, she has made the Buc one of the most exciting and talked about tournaments of the season. The comradery displayed by the teams in attendance proved to everyone that the Buc is most definitely back! 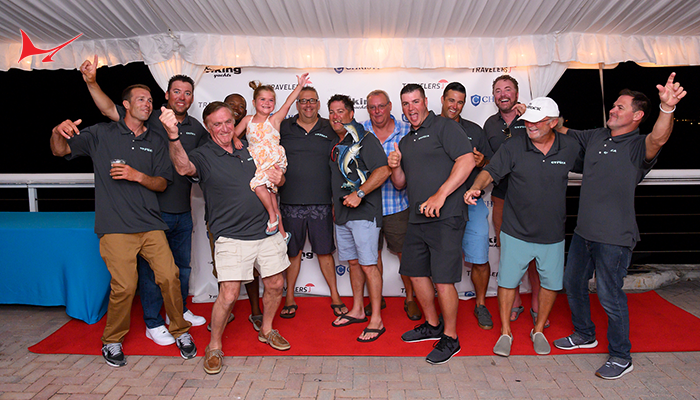 The 56th Buccaneer Cup opened with the Captains meeting on Wednesday held outdoors at the recently completed Tiki Bar at the Sailfish Marina. The meeting was sponsored by the Viking Yacht Company and HMY Yacht Sales. 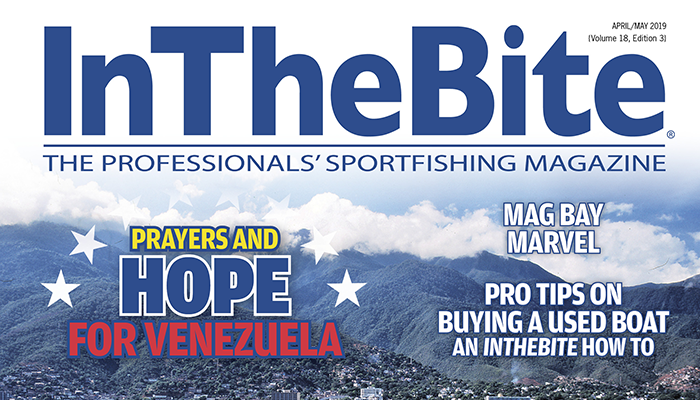 Robert “Fly” Navarro emceed the meeting and went through the rules which included a few changes in 2019 to give the teams more flexibility and fishing options. The meeting included raffle items provided by the long list of tournament sponsors included such as items as Engel Coolers filled with goodies, Costa del Mar sunglasses, Maxel Reels, Tsunami rods and lures, Caza Offshore knife kits and gear donated by Atlantic Marine Electronics (AME), AFTCO, Hi-Liner Offshore Tackle, Grand Slam Sport Fishing, Outrigger Yacht Products, and Mustad. 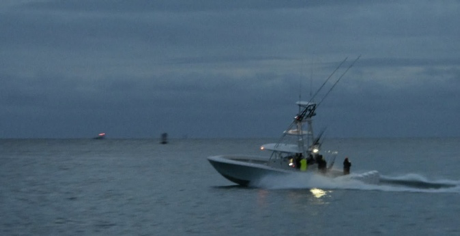 The competition teams made the unanimous decision to lay on Day One, opting to fish Friday and Saturday which, based on the forecast, held the best conditions of the three available fishing days. Day Two opened with grey skies, and light east winds and a strong bite with 14 sails being released within the first hour. Martha D called in the first release of the tournament just 17 minutes after lines in at 8 AM. The live baiters seemed to have the edge as Old No. 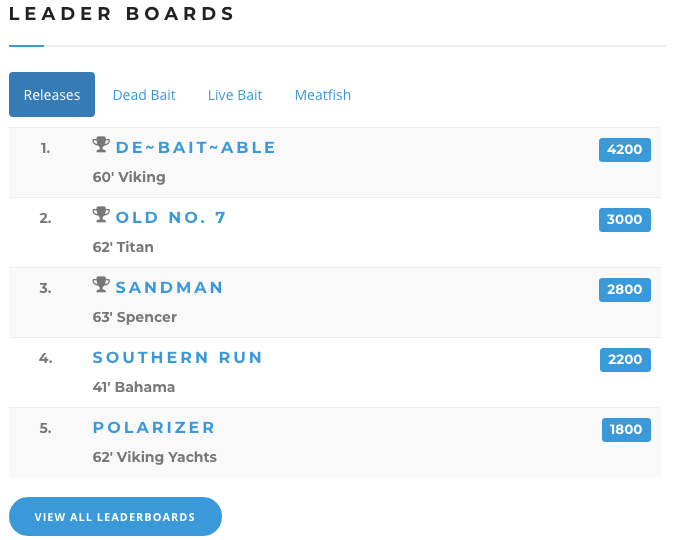 7, and De-Bait-Able took an early lead, but dead baiters Polarizer and Krazy Salts also made runs to claim the top spot for the day and the Calcutta dailies. By lines out, Old No. 7 racked up 10 releases on live bait for 2,000 points, followed closely by De-Bait-Able just 200 points off the leader. The top dead baiters filled out the leader board with Polarizer and Krazy Salts in the 3rd and 4th spots aided by a late bite that saw six releases in the final 30 minutes of fishing before lines out at 3:30. Day Three saw a drop in the wind and accompanying slowdown in the action, but the live baiters continued to push their advantage. 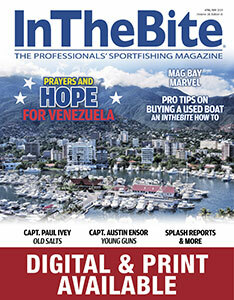 Based on radio chatter, fishing was best in a small area to the north of Jupiter Inlet. De-Bait-Able, with Capt. KJ Zeher at the helm, put on an astonishing clinic the final day amassing a total of 4,200 points by lines out bringing their two-day total up to 21 sailfish releases and leaving the competition in their wake. Tournament staff utilized Reel Time Apps for accurate, up-to-the-minute scoring that was available to teams and tournament enthusiasts by simply downloading the free app. The program was linked to the official radio room computer scoring team and updated minute-by-minute allowing teams to follow the leader board throughout each fishing day. At tournament’s end the radio logs were matched against the boat’s catch logs and Reel Time Apps and then verified by video confirmation. The winning boats were De-Bait-Able on top, Old No. 7 securing second place, with Sandman just 200 points behind in third. The competition was a nail biter between the top boats and was capped by a great run by Wrapped-Up breaking out of the pack in the final hour of the tournament trying valiantly to catch the leaders. In addition to several Calcutta categories, Old No. 7 also won the Charity Calcutta which includes an entry fee to the 2019 Buc Cup. They have been a regular in the tournament the past few years and no doubt the crew will be back next year trying to top their second-place finish. The top angler trophies went to Bill Bryan on the Old No. 7 in first, beating Chris Weaks on the De-Bait-Able in second by time (both had 1,400 points), and Sandra MacMillan on the Sandman taking third as well as the Top Female Angler, which was also a tie broken by earliest catch. 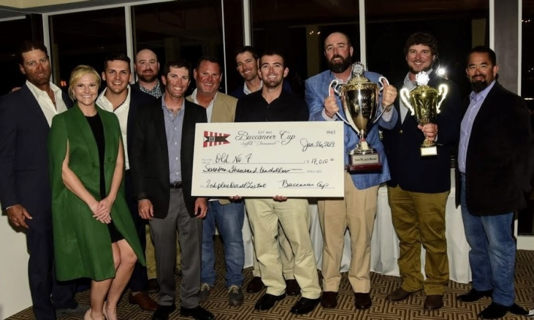 The Buccaneer Cup Tournament cash award for the Most Points on Live Bait ($10,000) went to the De-Bait-Able team, which pocketed $110,800. Most Points on Dead Bait ($10,000) went to Polarizer, the team receiving a check for $66,610 in total purse for their win. The InTheBite Top Captain loving cup was awarded to Captain KJ Zeher, who skippered the De-Bait-Able to victory. 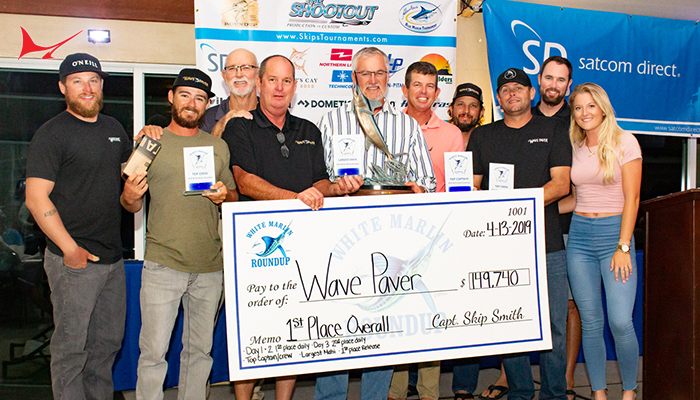 New for 2019 and created in memory of a long-time participant in the Buccaneer Cup, the Walter Johnson Award trophy for the largest meat fish went to the Bertram 61 for their 34-pound dolphin landed on Day 2. Pat Healey explained that the award was created as a posthumous honor that recognized his love of catching meat fish, and for his contributions to the development of the MTU engine, which has become the standard in sportfishing boats, during his tenure as the top executive at Johnson & Towers. 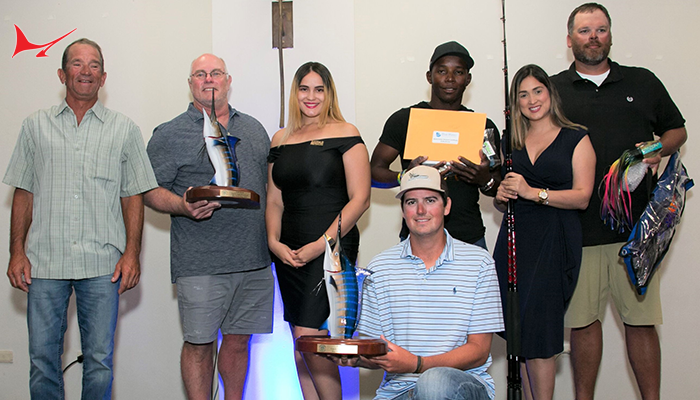 The awards banquet was held at the Sailfish Club of Florida and sponsored by MTU Marine Power, Florida Detroit Diesel Allison, and Johnson and Towers. The awards dinner was emceed by Robert “Fly” Navarro. Pat Healey, President of Viking Yachts and member of the RFA Board of Directors, presented Ellen Peel of the Billfish Foundation with a $5,000 check to aid the organization in its ongoing efforts to advance the science used for billfish management and assessment. 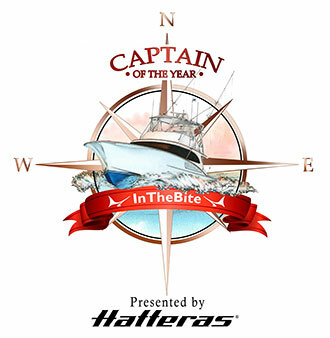 This event would not be possible without the generous support of its sponsors including MTU Diesel, Florida Detroit Diesel Allison, Johnson & Towers, Viking Yachts, HMY Yacht Sales, Yamaha Outboards, Jupiter Beach Spa & Resort, Contender Boats, American Custom Yachts, Akzo Nobel-Interlux Paint, Seakeeper, Garmin, Cummins Marine Power, American Venture Boats, Bahama Boat Works, Christi/Travelers Insurance, Atlantic Marine Electronics, American Fishing Wire/Hi-Seas, Release Marine, Viking Service Center, The Buccaneer Marina & Resort, Reel Time Apps, Sailfish Marina, and Outrigger Marine Products. 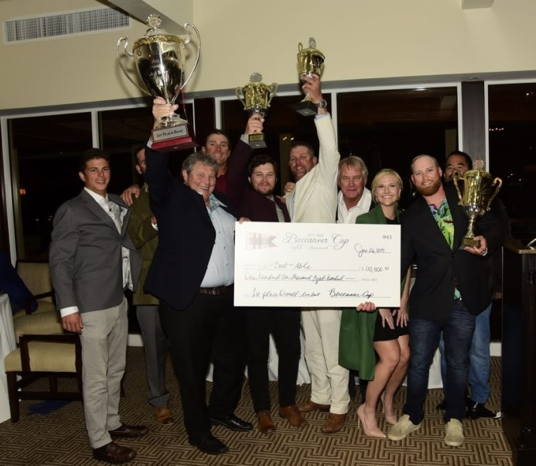 We look forward to seeing all our teams and more next year for the prestigious 57th Buccaneer Cup where we can make sportfishing history again.